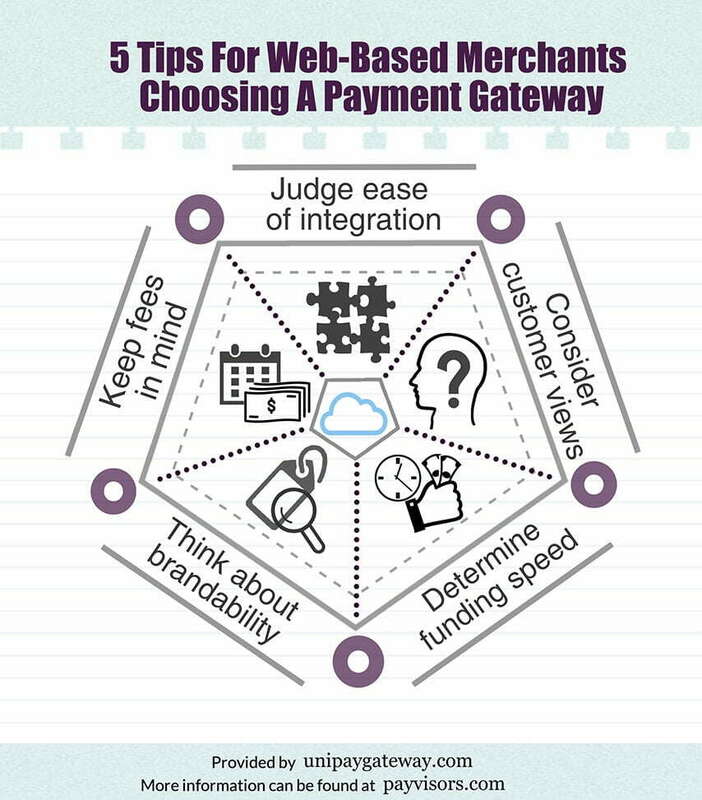 Web-based merchants considering their payment gateway choices must keep several things in mind to make the best possible decision. It’s important to keep fees, ease of integration, customer awareness, brandability and funding speed in mind when choosing the best payment gateway for your business. Have you considered all the variables? Practically all web-based merchants use third-party payment gateways, but not all available choices have the same level of functionality and ease of use for merchants and for customers. Deciding how to choose a payment gateway that meets your needs depends on many factors, but you’ll be able to find a gateway that you and your customers can accept if you keep these five things in mind. More information can be found in the respective article at #PayVisors.